Sheila Price, former director of nutritional services and girls swim coach for the Milton School District, resigned from both positions Tuesday after allegations of district policy violations. School administrators became aware of alleged violations of district policy involving Price on Aug. 24, according to a statement from the district. Price was placed on nondisciplinary paid administrative leave as the district’s human resources department investigated the allegations, according to the statement. The suspected violations were not of a criminal nature, did not involve students and did not involve the Red Hawks girls swim team, according to the statement. Administrators would not release further details of the investigation to The Gazette, pending an open records request filed by the newspaper Tuesday afternoon, said Jerry Schuetz, director of administrative services. Price still is allowed to attend Milton School District events, Schuetz said. Mike Price, Sheila’s husband and organizer of the Friends of the Milton Pool, told The Gazette on Tuesday to direct questions to district staff. Schuetz declined to comment on the future of the Friends of the Milton Pool. Assistant Nutrition Team Supervisor Michael Gosdeck has been named interim director of nutritional services, according to the statement. Assistant Coach Lindsey Hassenfelt was named interim head coach of the swim team, according to the statement. 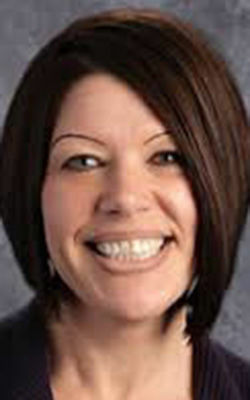 Price was hired as the director of nutritional services in July 2012, Schuetz said in an email to The Gazette. She was hired as the assistant swim team coach in August 2016, then as head coach of the swim team in August 2017. The Friends of the Milton Pool group will continue its fundraising efforts for a new pool despite a recent coaching change for the girls swim team.